Last week I spent far away of my homely hacker zone, I was in Netherlands, and took part in IMAV - International Micro Air Vehicle Conference and Competition , as a member of High Flyers - Academic Scientific Association from Silesian University of Technology . IMAV is an annual competition for UAV aficionado, combined with conference concerning micro air vehicles. Last year, IMAV was organized by ENAC University, from Toulouse . That was my first time, when I participated in IMAV, and I really enjoyed. Me and my friends (from High Flyers also) decided to attend in both the conference and the competition. We did our best, and we won two silver medals in indoor category (autonomy and operation) !!! The atmosphere on the conference was amazing - everyone was very friendly, you could talk about UAV technologies with people from another universities, countries, and even continents. Moreover, organizers invited us to Airbus factory , and we could see, how one of the biggest airliners are made. This year, IMAV was organized by University of Technology in Delf, in Netherlands. Organizers made every effort, to prepare conference as good as in France. And this is it! Guys from Delf have organized conference very well. This year there was no division into outdoor and indoor category. Whole mission, which should be done, took place in both inside the buildings, and also outside. So participants have to prepare platform, which can fly in various conditions, or just made two kind of platforms - for indoor and outdoor operations. Most of (or maybe all) teams have chosen later variant (including High Flyers). Competition has took place in the village of Oostdorp. Participants had to make a map of Oostdorp, find obstacles on the roads, read numbers on the buildings, precisely scan one of them, observe digits shown on seven-segment display. And the most important - every mission should be performed fully autonomous. If an operator interfere during a mission, a team will get less points. Competition rules might be found on an official IMAV 2014 website . High Flyers has participated with three platforms. Two of them was designed for outdoor conditions, and one - for flying inside a building. Unfortunately, one of outdoor platforms has broken down on competition's day (one day earlier, during a tests, everything has worked fine...:), and we used only two platforms. Even so, we have won very good, 4th place. Gold medal for team from Singapore, silver - Germany, and bronze - for previous organizers - France. Final competition results might be found on the IMAV 2014 website . Next year - Achen, Germany. I'm looking forward to the rules. If it is possible, I definitely will go there. 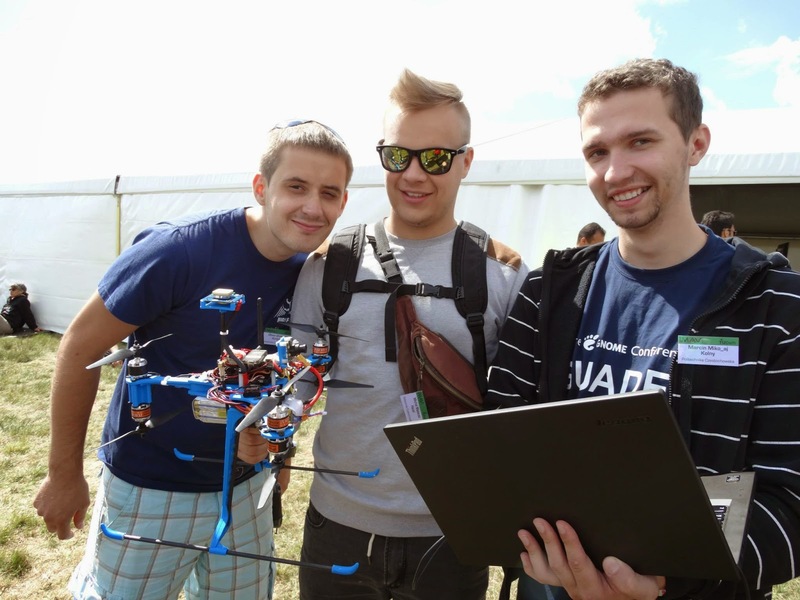 I think, every one interested in UAV, should be on IMAV, meet people crazy about drones. IMAV was really amazing, but when I backed home, I get to know the only one disadvantage of this conference. 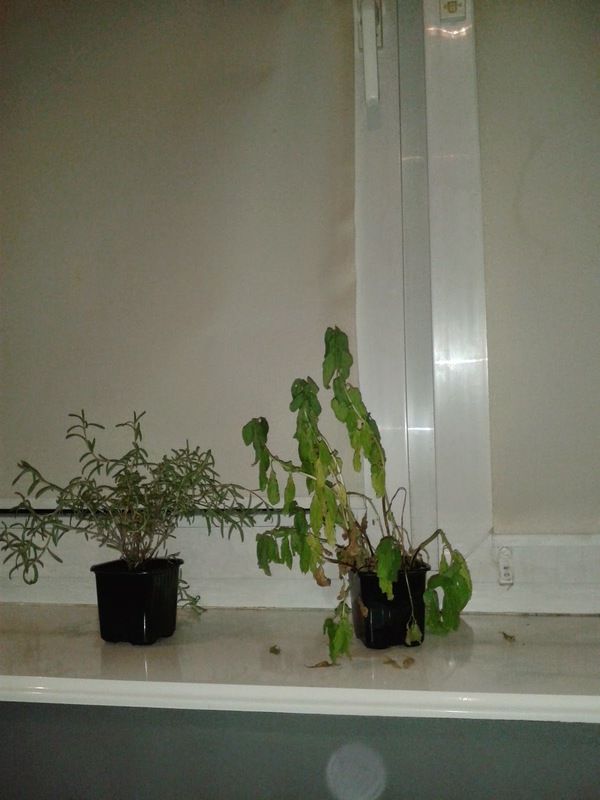 I wasn't at home whole week, and I totally forgot about my plants :/ Rosemary looks quite ok, but basil probably can't be rescued. I'll do my best, but I'm afraid, I have to buy a new one.